A few years ago, there was rumbling in the world of whisky that perhaps something should be done about some bottlers – especially supermarkets – constantly inventing fictional Glens to use on their own-brand whisky. Earlier this year, the problem re-surfaced when it emerged that Tesco had invented a bunch of farms for some of it’s own brand meat and vegetables. The complaint from groups such as the NFU were that the public were lead to believe that the produce was British, but that’s really only one side of the story. The deeper question here is one of authenticity; if a shop is willing to imply that their own-label products are actually from some imaginary producer that doesn’t exist, then how can we trust them to be open about anything else? The public, however, doesn’t seem to be overly concerned. For all the noise, Tesco saw sales rise significantly with their fake farms, and whisky continues to appear on the shelves claiming to hail from Glen Neverland. What has this got to do with beer? 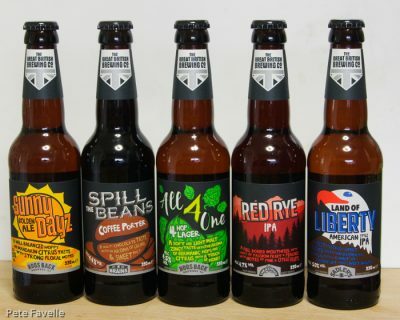 Well, Aldi have brought out a range of own-brand beers under a banner of The Great British Brewing Co which, as far as I can tell, doesn’t exist. 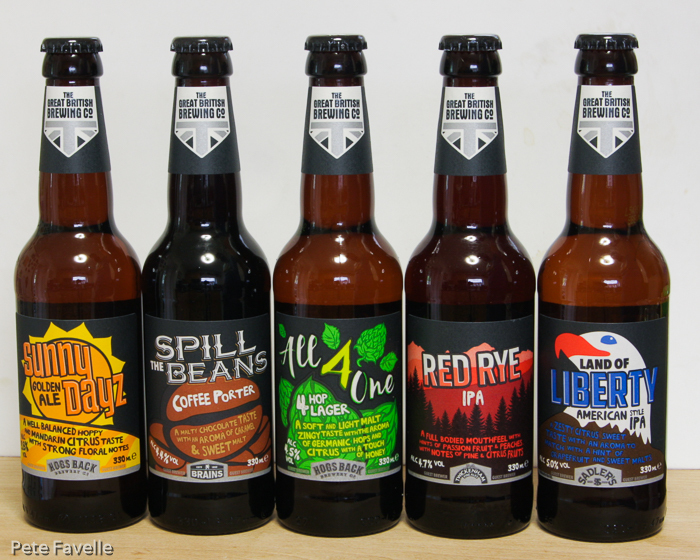 It’s an interesting looking collection, from multiple well known breweries (oddly labelled as “guest brewers”), but why do they feel the need to invent an imaginary cuckoo brewing company to put on the label? Sunny Dayz is a 3.8% Golden Ale, brewed by Hogs Back Brewery. It’s a nice looking pale gold ale, but so devoid of any sort of head that it ends up looking more like a cider than a beer. The aroma is nicely floral, with sweet citrus flowers and a light caramel backdrop – it certainly smells like a cracking, light summer ale. In the mouth it’s slightly over-fizzy, with an initial satsuma sweetness that is slowly countered by a gentle and indistinct hoppy bitterness. 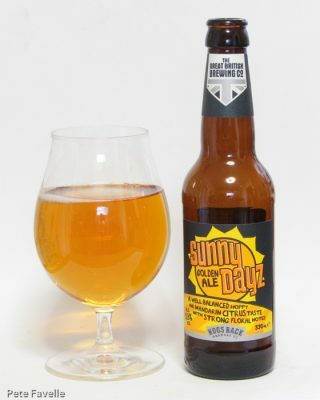 To be honest, there’s not a whole lot of flavour going on, but it’s pleasantly inoffensive and easy drinking – especially when well chilled and sipped in the sun. I can almost forgive the terrible name. Spill The Beans is a 4.4% coffee porter, this time from Brains. Visually, it’s a properly black porter with a fine, fleeting pale tan head. The aroma is more chocolate than coffee, with a strong caramel edge that immediately puts me in mind of Rolos. That chocolate-wrapped caramel is also comes through in the flavour, with a toffee-like character. A hint of coffee emerges later on, but it tastes closer to ‘coffee flavouring’ than actual coffee. The finish is decently bitter and drying, which is a nice counter to the caramel sweetness at the start. It’s actually quite a nice porter, but the lack of coffee is disappointing considering the name. 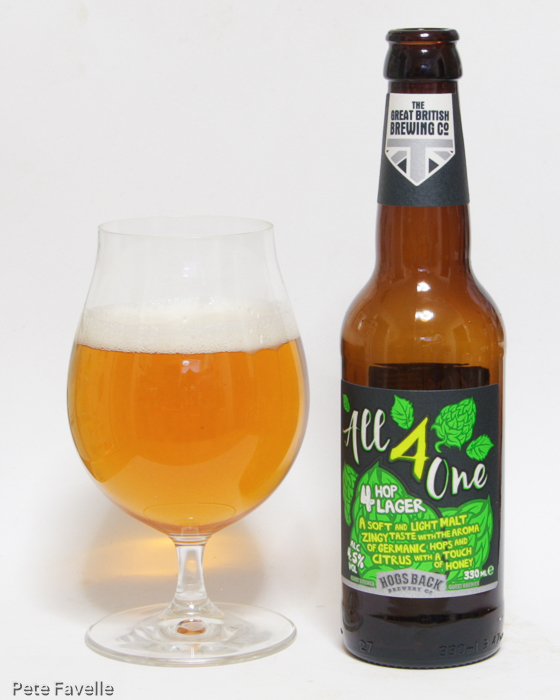 All 4 One is a 4.5% ‘4 hop lager’, and is the second beer in the selection made by Hogs Back. It’s a decent enough looking lager; clear and golden, with a lingering fine textured head. The aroma is gentle; damp earth and a light biscuity malt. 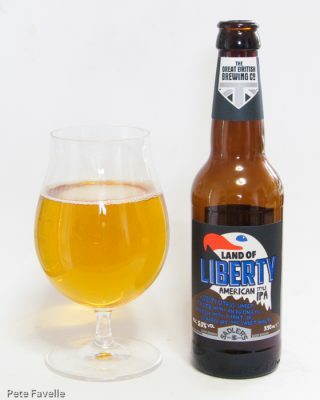 The flavours are deeper than you might expect; light honey and more earthiness which lead to a decent bitter finish – this is a nicely hop-forward lager that’s very drinkable. Red Rye IPA is a 4.7% IPA from Twickenham Fine Ales. It’s a good looking, deep red ale with a generous head. The aroma is rich and fruity, with hints of passion fruit and lime. There’s a deep, slightly resinous hop bitterness in the mouth that builds steadily over time to a powerfully bitter finish. A toffee hint in the background contributes to a nice body, but the punchy bitterness overwhelms the fruit from the nose, along with any other flavour notes. 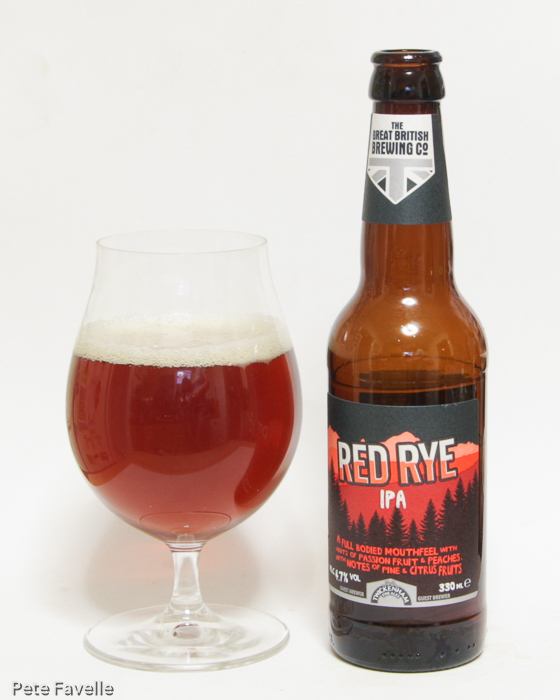 I’m a big fan of rye IPAs, but this one is just too unbalanced to hit the mark for me. Land of Liberty is a 5.0% American IPA from Sadler’s Ales. This is a fairly flat looking, pale gold ale. The aroma makes a great start – sugary sweet with gentle tropical fruit and a rich citrus edge. In the mouth, the bitterness is significant, but all those fruit notes in the aroma don’t really come through. There’s a slightly sticky, sugary burst in the finish but there’s no real depth to any of the flavours. It’s not a bad beer, but the promising aroma is let down by a lacklustre taste. Overall then, it’s a mixed bag. There are a couple of rather tasty beers in here, and a couple of unremarkable (dare I say bland) ones too – all things being equal I wouldn’t necessarily rush to buy them again, but I wouldn’t turn them down either. But. Aldi currently sell these beers for less than a pound for a 330ml bottle. At that price, I’m struggling to see how anyone involved is actually making a profit, but they’re cheap enough that they are well worth keeping a few of the better ones lurking in the fridge. I just wish that they hadn’t invented an imaginary brewery to sell the damn things. Thanks for this Pete. Completely agree with the summaries. The red rye and liberty were my favourite. However, I’m surprised two reputable breweries such as twickenham and hogsback have put their name to them. But money and advertising I suppose. 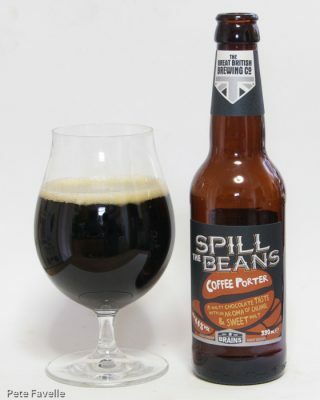 Just tried the coffee porter and found it quite enjoyable. See what you mean about a more chocolate taste than coffee. But I would get it again.